SpaceX has unveiled the identity of the mystery payload packed aboard the Dragon spacecraft during yesterday's orbital flight. "Before the successful launch, voyage, and recovery of SpaceX's Dragon spacecraft, the first time in history a commercial company has recovered a spacecraft from orbit, reporters were buzzing with news of a 'secret'payload' stowed on board," SpaceX announced in a statement. 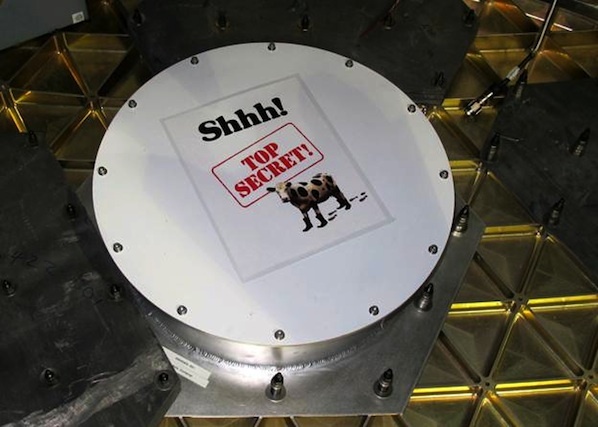 "It was a payload so secret, SpaceXers made it Top Secret (think Val Kilmer 1984, not official US Government)," the company said. "So what was inside the mystery package? Their tribute to Monty Python. 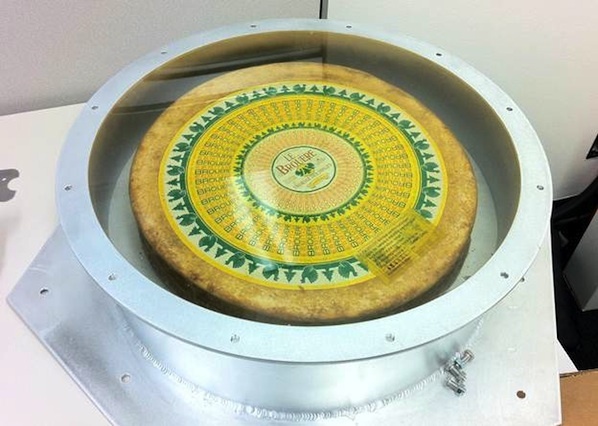 A wheel of cheese."